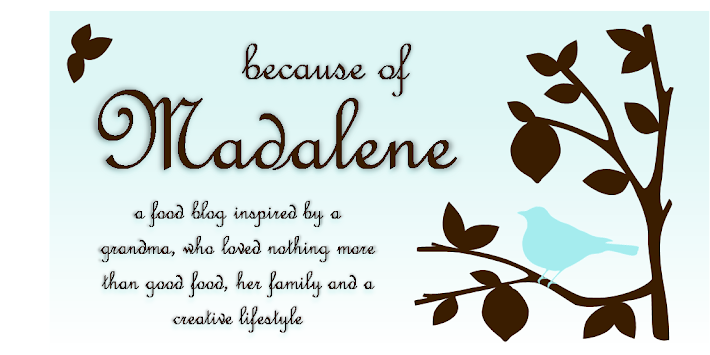 Because of Madalene: Button Up! I have this three year old sweater that just sits in my closet season after season. My taste changes quickly and I simply grew tired of it but wasn't sure if I should get rid of it or not, because I always knew this sweater had potential but was overall plain and boring. So then it clicked! All I need to do is change out the monotone buttons to something funkier and on trend. And it will feel like I just purchased a brand new sweater all over again. So, I traveled on over to Joann Fabrics and found these wooden-like buttons that I thought would be a great boost for my sweater. They're colorful but have a modern vintage flare to them that will make the sweater timeless. With a seam ripper, I removed all the old buttons and sewed on the new using a blue-green thread that matches the color of the sweater. I decided to use the same shape buttons for this project but mix up the prints. This is a creative way to jazz up the sweater but not making it look too crafty at the same time. And here is the final product! I can't wait to pair it with a neutral tone top and rolled up jeans for a casual day at the office.